with the amazing women participating in this circle. this is the first time they are offering videos online ever. just enough to inspire them to share themselves in a new way. or how we share ourselves with the world. and the beautiful art that this guest shares with us today, too! Jo Crawford is an artist, teacher and intuitive reader based in Berkeley, California. 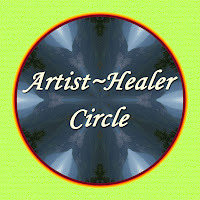 She works with women to nurture and explore their own intuitive wisdom and creative expression. Her first on-line course, 22 Paths to Wholeness: wisdom lessons from the tarot, launches next month. Visit Jo at Crafting the Sacred.